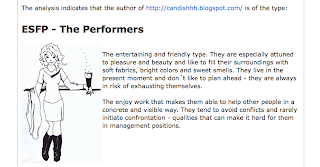 the canDIshhh tales: What's your blog's personality? 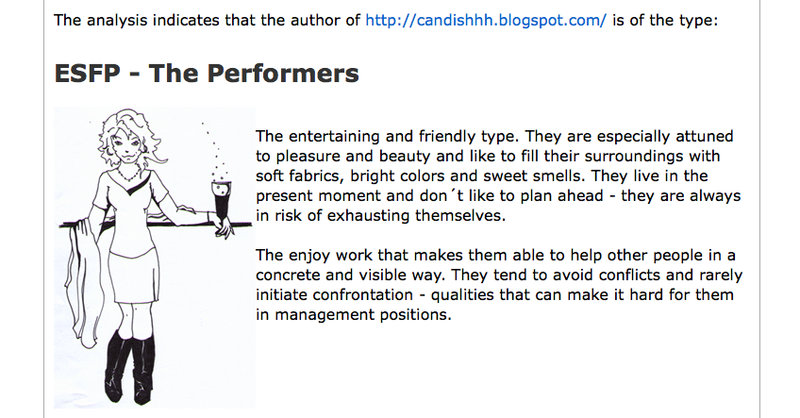 So, does your blog have a personality? Of course it does!! It showcases the personality of the blogger/writer!! I found this site through Team Carnival's site - its called the TYPEALYZER! !